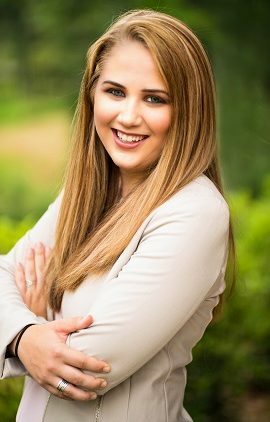 Caroline Belden is an Innovation and Learning Manager with The Winters Group, Inc. In her role, she is responsible for supporting the development and research for The Winters Group learning experiences, resources, and communications campaigns. She is passionate about creating opportunities for people to feel free to be their full selves, believing that this is the first and continuous step to pursuing equity and creating transformative and sustainable paths to inclusion and trust across lines of difference. Her professional background includes writing and editing, content development for social and racial justice programming, group facilitation and public speaking, and social media communications. Prior to joining The Winters Group, she served through Americorps VISTA (Volunteers In Service to America) as the Communications Director at The Center For Social Empowerment, a non-profit in Ferguson, Missouri dedicated to teaching people how to work towards justice in their own communities. This experience led her to appreciate grassroots education and social activism as a necessary and challenging force for community building and larger societal change. Caroline holds a B.A. in Theology and African American Studies from Saint Louis University. She also studied Spanish and Urban Poverty Studies and was a part of various cross-cultural immersion learning experiences that first sparked her interest in the process and cultivation of personal and professional transformation. Her research focused on theological and sociopolitical liberation, specifically within the context of race inequity and religious institutions. Caroline is a certified administrator of the Intercultural Development Inventory® (IDI®).